We are passionate about rivers! Ryan Allred is the head guide and owner of Jefferson Flywater. He has over 20 years of guiding experience in Northern California and Southern Oregon, as well as several years in Chile. He is an FFI certified casting instructor, holds a Masters degree in Freshwater Ecology and was a five time member of the USA rafting team. 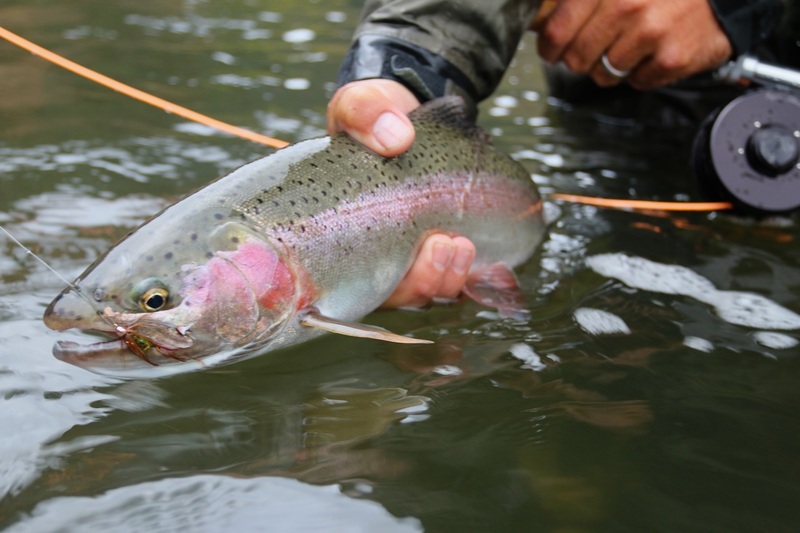 Ryan recently became the Native Fish Society ambassador to the Klamath River. Keith Lyon has logged several 100 + day seasons on the Rogue and Klamath despite being the head rod builder at Jefferson Rod Company. His spey cast is almost as beautiful as the rods he builds! Keith is incredibly personable, fishy and is an excellent teacher of single or two handed technique. Keith grew up on the banks of the Rogue River in Southern Oregon. Alex Obregon is originally from Costa Rica. Alex grew up in the small village of Cahuita playing in the water, swimming, fishing, snorkeling and surfing. As a world class kayaker, whitewater raft and fishing guide, he spends his winters in Chile, his summers in Maine (running a bed and breakfast with his wife and kids) and his October's on the Klamath. Colin McCloskey is an incredible addition to the Jefferson Flywater team. Colin has guided at Sugar Creek Ranch and for several seasons on the Klamath. His knowledge of the local ecosystem (bears, birds, and other fauna) is unparalleled. Colin lives year round on the Scott River (Klamath Tributary). Paul McDonald: At 5 years old Paul McDonald started his fishing career in New Zealand. He is now living in beautiful Oregon with his wife and four boys (two of which are dogs). He guides Southern Oregon and Northern California's moody, technical waters for eight months of the year. During winter months he returns to New Zealand where he specializes in backcountry sightfishing for trophy browns and rainbow trout. You won't likely see Paul on one of his days off. He will be deep in the backcountry exploring new waters and looking for what might be around the next corner.